The day Colorado Cannabis Industry folks have been preparing for! 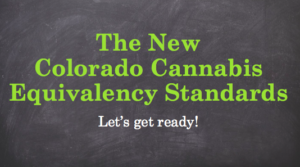 The new Colorado adult use cannabis sales equivalencies went live on Saturday, October 1st. Check out our free webinar, which includes a downloadable cheat sheet to help with that zany math. the new universal symbol on the front. 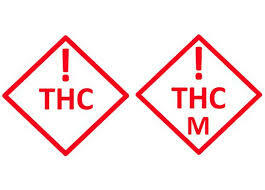 Medical and retail marijuana will have similar symbols, add the “M” to designate medical cannabis. Marijuana infused product manufacturers (MIPs) must comply with the new universal symbol rules by Oct. 1. 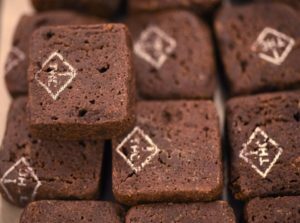 By Dec. 1, retail stores and medical centers may only sell marijuana marked with the universal symbol. The words “candy” or “candies” cannot appear on marijuana or marijuana packaging, unless part of the marijuana establishment’s name. Each container of medical and retail marijuana must be labeled with necessary and relevant information for consumers, including a potency statement and a contaminant testing statement. The information must be easily accessible to consumers, clear and noticeable. Health and physical benefit claims cannot be included on labels. 1 oz. of retail marijuana flower = 8 grams of retail marijuana concentrate. 1 oz. of retail marijuana flower = 80 x10-milligram servings of THC in retail marijuana product. If this math conversion sounds complicated, check out our fun and free webinar to make things a little easier! Next PostThriving in the holidays!